American Blanket Company sells luxurious fleece blankets, throws & pillowcases, baby quilts & blankets and pet blankets & beds. Our small team in Fall River, Massachusetts shares one common goal: design, cut, sew, package and ship the best blankets we can possibly make. We truly love making quality blankets. 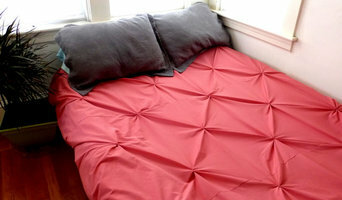 American made blankets that make people feel good. The American Blanket Company difference starts with the quality of the materials we use to make our blankets. We search the world for the finest blanket materials and fabrics as we know this is the foundation to building a high quality blanket. We use only the finest 288 filament polyester yarns and softest fleece fabrics available in the world today. We're convinced that we are offering the best blankets on the market and we guarantee them for life, under our Soft Blanket Guarantee. 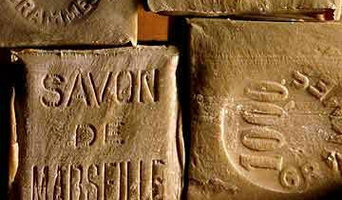 French Soaps is the exclusive US distributor for fine soaps and fragrance products from France including Savon de Marseille, DOUX, Provendi rotating soaps and Papier D'Armenie room fragrance. Manufacturer of custom fabrics and our own Forty-Winks™ brand of organic cotton and natural Tencel® mattress protectors. We are a sales rep firm that specializes in internet sales. We represent several home textile manufacturers - rugs, curtains, basic bedding. fashion bedding and bath towels. We have our own photo studio and design images that best suit each internet site. Dadya Trade and Consulting L.L.C. One of the most common problems in bathrooms is lack of storage space. Buying a bathroom vanity at your local building supply store may be the answer, but for more challenging storage solutions, you’ll want to contact a Quonochontaug, RI bedding and bath manufacturer or retailer that specializes in custom storage options and unique bathroom furniture and accessories. From heated towel bars to shower curtains, use the Houzz Professionals listings to find Quonochontaug, RI bedding and bath retailers with budget-friendly bathware and modern bath accessories. Some bathroom remodelers specialize in affordable equipment like grab bars, safety tubs and showers and other bathroom accessories designed for those with different physical needs. Does your bathroom need converting or upgrading for special needs? Is it time to wake up your master bedroom with some new bed linens? Since that very first white sale in Philadelphia’s John Wanamaker and Co. department store in 1878, January has always been a good month to buy bed linens. Those looking for hand-crafted custom bedding and draperies can find a Quonochontaug, RI company that makes and sells quality bed products. Many bed and bath retail outlets sell a smaller selection of exclusive brands.